Every day there is a significant increase in the number of students who vape especially within different high schools. Thus, John A. Ferguson Senior High School has made major efforts to terminate the growth of adolescents who use JUULS. Recently, a presentation took place at John A. Ferguson Senior High School in the auditorium which was made for educational purposes. This conference was about vaping which was specialized for students who utilize JUULS during school hours. Ms. Stuart who organized the event claims that she hopes that this meeting “Is a reminder of what would happen to them if they continue in the path they are going.” This woman’s goal was for students to realize the mistakes that they are making, in order for them to approach an individual who they can trust so they can guide them. Castro states towards the audience within the beginning of his presentation with “I am here to help somebody, just like somebody helped me.” Hence, this individual mentions that he was an alcoholic, but just after listening to someone’s story about their life and how it changed, it amended his perspective on the meaning of living. Primarily, Orlando Castro begins the presentation with a motivational speech by speaking to these teenagers about the difficulties they must encounter. This man states that “Every kid has a special gift inside, just like my kid, and they are all special, everyone has a gift, we just need to figure it out, but if we make poor decisions at your age, which is tough, because adolescent years are great but they are also very tough years, because we make a lot of decisions.” Thus, Castro demonstrates to the students that he understands them and wishes to assist them in any way possible. He proceeds with the presentation by sharing basic information about JUULS which are charged by a battery and can be found in different shapes and sizes, making it difficult to identify. 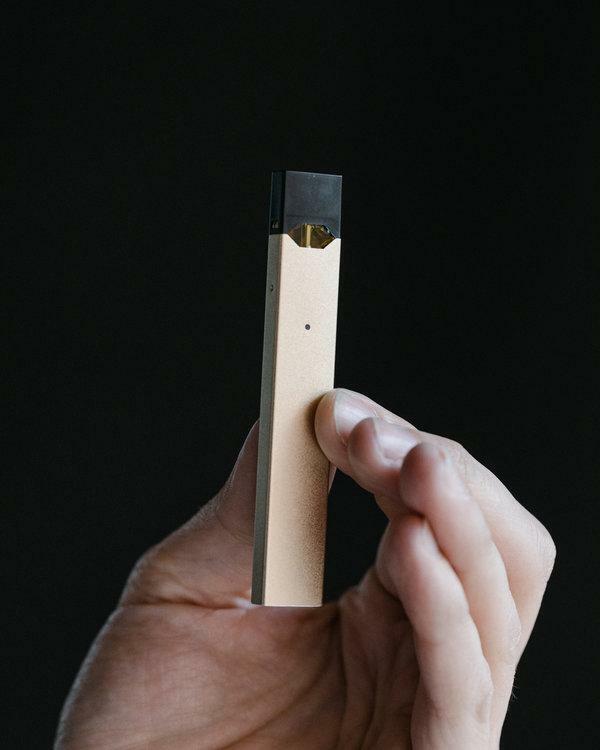 E-Cigarettes consists of a liquid to reduce the amount of combustion, therefore several people in our society believe that JUULS will also decrease the addiction of the drug recognized as nicotine, yet a JUUL Pod contains the same quantity of nicotine compared to a pack of cigarettes. When the E-Cigarettes produce aerosol that heats up the nicotine, which amends the behavior of people after constant use. According to Mr. Louis the actions of many students shows a “heart of repentance” which conveys that they regret the past choices that they have made, therefore no one in the auditorium during that presentation received any consequences, because the school’s main goal was to prevent adolescents from beginning to utilize E–Cigarettes or cease the use of these devices at John A. Ferguson Senior High School. Vaping is a major epidemic throughout the country which can be prevented, therefore John A. Ferguson Senior High School has ethical intentions to assists students throughout their high school years, in order for the likeliness of them vaping later on in their life to reduce. In high school, teenagers have more access to E-Cigarettes, which makes it more probable for students to vape throughout these few years of their lives. The popular drugs used within JUULS risks the lives of multiple people, especially throughout teenagers. Within a few weeks, Mr. Louis received a report displaying data which shows that there is has been a significant decrease in the number of students getting caught using JUULS as well as other devices for vaping at John A. Ferguson Senior High School. The best way to stop students from vaping is to inform them, so they can make their own decision to terminate the use of JUULS, in order to improve these teenagers’ health. The assistant principal who is willing to look further into the concept of Opioid and E-Cigarette use among teenagers, by attending an event at FIU (Florida International University) which is offering a Professional Development for Educators. As a result, John A. Ferguson Senior High School wishes to prevent people from beginning to utilize E–Cigarettes as well as cease the use of these devices in order to improve the life of multiple students.